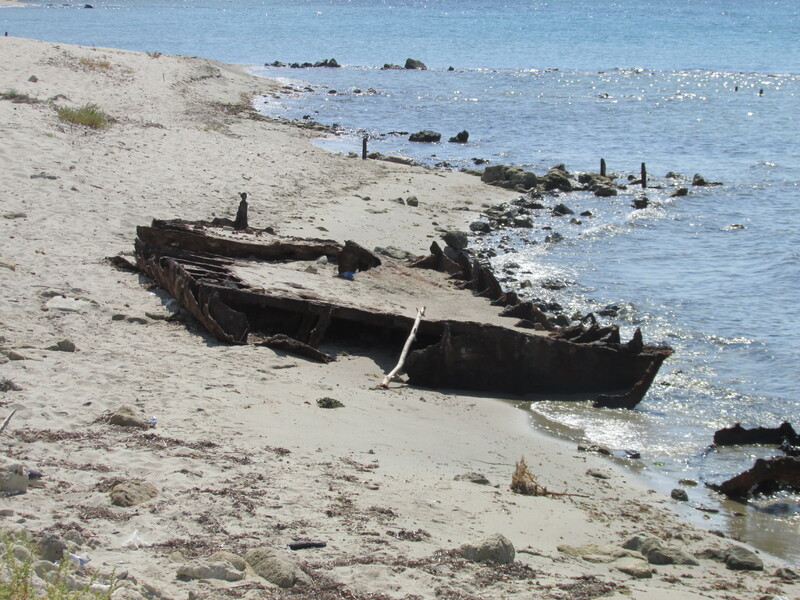 Wrecks of ships abound at Gallipoli, but most of course are submerged. A short distance off W Beach for example, in shallow water, lays the wreck HMS Majestic, a 14000 ton pre-dreadnought class battleship, torpedoed and sunk by U21 on 27 May 1915 despite a protective ring of destroyers and anti-torpedo nets. 49 crew died. The small barge on W Beach was abandoned aground when the evacuations took place on early January 1916 and it has remained there ever since. W Beach st its height was teeming harbour with dozens of ships coming and going every day. Afforded some protection from the guns at Kum Kale which plagued V and S Beaches, (one named by the troops as ‘Asiaric Annie’), it was still a hazardous place at which to unload and store provisions.